All eyes are on Pacific Gas & Electric (PG&E) as it tests the ability of EVs to help power homes during outages and provide demand response. Will vehicle-to-grid live up to its big promise? Industry insiders are both optimistic and cautious. If drivers avoid charging during peak hours and charge during off-peak hours, they can provide nearly the same grid support as two-way power flow, he says. Others are more optimistic about the potential of vehicle-to-grid. “The major opportunity here is to bring down the cost of electric vehicle ownership. 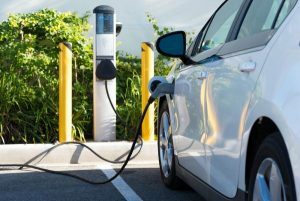 If these systems can successfully stack value streams, they will expand the market for electric vehicles while providing significant benefits to the electricity grid,” said Brian Orion, an attorney for Stoel Rives, who works on EV projects. Stacking value streams involves providing numerous services, including demand response, peak shaving, load shifting, and capacity services. Vehicle-to-grid projects can also support the integration of renewable energy. They are just beginning to appear in microgrids, but are expected to be integral to projects in the future. To test such ideas, PG&E retrofitted a fleet of EVs to provide two-way energy flow for the test project. “Because this EV technology may be available in the future, we wanted to test its capabilities through this project,” says Ari Vanrenen, PG&E spokeswoman for the California utility. The company is using test homes equipped with solar panels to determine whether the solar and EVs can help power homes during outages and provide demand response. “When we test an outage event where we lose the main power to the home, the battery and EV will power the critical needs of the house – and the solar will be able to help if it’s in the daytime. During a demand response event when the electric load will be reduced for the entire house, we will test how the clean energy resources can power both the entire home or just the critical items,” she says. Brandon Grainger, associate director, Electric Power Systems Laboratory at University of Pittsburgh’s Swanson School of Engineering, says that large communities of EVs can be used to benefit the grid. If enough generation is available from such a “community,” starting up the grid after a large outage could be easier, he says. 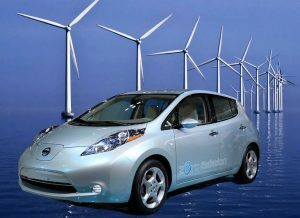 “One could coordinate specific electric vehicles to function as generation sources and those that can serve as a load. This thought may help to enhance system resiliency. This capability (acting as source or load) is dependent on the power flow that is exchanged between the car and the grid.” If the car receives electricity, it’s a load, but if it’s sending power to the grid or another vehicle, it’s a generation source, he explains. “This can all be done with the intelligent, high power dense power electronic systems built into the cars themselves,” he says. However, if car owners are expected to participate in such events, utilities need to provide incentives to compensate owners for the use of their vehicles and for discharging their batteries, he adds. “Similar to the tax credits for installing PV generation on homes to generate widespread adoption, an incentive for battery replacement will need to be crafted,” he says. If utility use leads to batteries being replaced more often, disposing of the batteries in an environmentally friendly fashion may be a challenge, he notes. In taking advantage of EVs, utilities need to figure out how to determine whether the batteries are charged enough to help when there is an outage. Systems need to be developed to provide this service, he says. Mike Phillips, CEO and co-founder of Sense, which provides high-resolution energy monitoring for homes, says that while consumers may be reluctant to provide their cars for such programs, flexible charging systems may sway them and provide important benefits to the grid. “While most consumers won’t like the idea of their car being used to power the grid, they usually don’t care when their cars get charged,” he says. If cars are ready when consumers need them thanks to flexible charging systems, they’re likely to be willing to participate in vehicle-to-grid programs, he says. 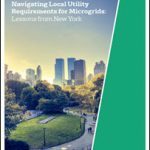 Would you like to speak at Microgrid 2018? See details here. “I believe this will evolve to fully automated charging based on consumers’ needs and pricing or other signals from utilities. With the rapidly increasing adoption of EVs, this has the opportunity to allow for much greater use of renewable resources on the grid in a consumer-friendly and cost-effective way,” he says. Not only will consumers contribute to this trend; so will schools—and their buses, says the NRDC’s Baumhefner. Utilities are considering using school buses, which have predictable schedules, to soak up the sun, help power the grid when the sun goes down, charge up on wind overnight or be used as stationary battery storage, he says. “The biggest opportunity for two-way ‘vehicle-to-grid’ might actually be beyond passenger vehicles,” he says. 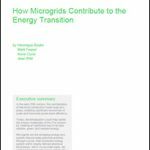 Interested in vehicle-to-grid use in microgrids? Track news by subscribing to the free Microgrid Knowledge newsletter.